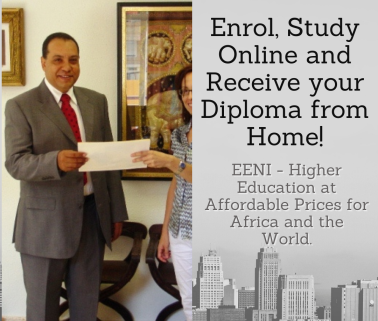 Syllabus of the Online Course (Subject): LAIA /ALADI (Latin American Integration Association). Montevideo Treaty. The Latin American Integration Association (ALADI/LAIA) is the largest Latin-American trade and economic integration block (20 million square kilometres and 500 million people). 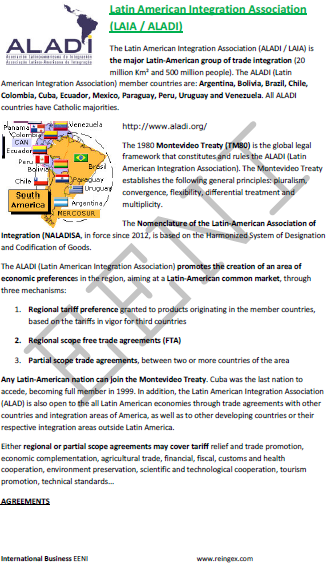 The 1980 Montevideo Treaty (TM80) is the global legal framework that constitutes and rules the ALADI (Latin American Integration Association). Any Latin-American nation can join the Montevideo Treaty. Either regional or partial scope agreements may cover tariff reduction and trade promotion, economic complementation, agricultural trade, financial, fiscal, customs and health cooperation, environment preservation, scientific and technological cooperation, tourism promotion, and technical standards. The Latin American Integration Association (ALADI) belongs to Latin American Economic Area (Western Christian Civilisation).